Understand the language and vocabulary of Data Architecture. The Data Architecture field is rife with terms that have become "fashionable". Some of the terms began with very specific, specialized, meanings - but as their use spread, they lost the precision of their technical definitions and become, well, "buzzwords". A buzzword is "a word or expression from a particular subject area that has become fashionable because it has been used a lot". Compliance is "the obeying of an accepted principle or instruction that states the way things are or should be done." The assignment is to take buzzwords and follow rules to use them correctly. 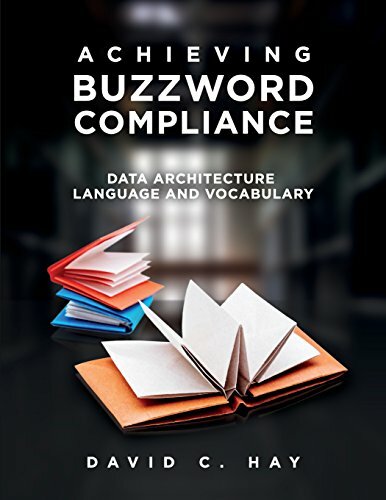 We cut through the hype to arrive at buzzword compliance - the state where you fully understand the words that in fact have real meaning in the data architecture industry. This book will rationalize the various ways all these terms are defined. Of necessity, the book must address all aspects of describing an enterprise and its data management technologies. This includes a wide range of subjects, from entity/relationship modeling, through the semantic web, to database issues like relational and "beyond relational" ("NoSQL") approaches. In each case, the definitions for the subject are meant to be detailed enough to make it possible to understand basic principles - while recognizing that a full understanding will require consulting the sources where they are more completely described. The book's Glossary contains a catalogue of definitions and its Bibliography contains a comprehensive set of references. If you have any questions about this product by Technics Publications, contact us by completing and submitting the form below. If you are looking for a specif part number, please include it with your message.